What are your favorite SF/F books/movies/TV shows/comics/etc. that you consumed in 2011? them. In addition to his reading and gaming interests, he can be found at his own blog, Blog Jvstin Style, the Functional Nerds, Twitter, Livejournal and many other places on the Internet. And one day he will write his own “trunk novel”. Although I don’t seem to have consumed any more than usual, I consumed more first-run genre goodness year this time around than in many years past. In terms of movies, this was of course the movie year of superheroes, and a lot of other genre movies in general. I watched many of them, found many wanting, but also found some movies I would add to my movie collection. I particularly liked Duncan Jones’ Source Code in the spring, and in the superhero category, it’s a close run race between X-Men: First Class and Captain America. Thor wasn’t bad, either. And I shouldn’t forget to mention Rise of the Planet of the Apes, which was far better than it had any right to be. In terms of videogames, I played a heck of a lot of Dragon Age II from Bioware. It’s an absolutely solid sequel to Dragon Age, even if it turns the formula upside down and shows episodes in the growth and development of Hawke rather than a single short narrative. A bold choice that not every player or reviewer has appreciated, but I think the game creates an amazing narrative that really depends on character choices, often choices from far earlier in the game. Roleplaying games. The resident roleplaying expert at SF Signal should have opinions and make a choice here! Thankfully, its an absolutely easy one: The two volume Dresden Files Roleplaying Game, put out by Evil Hat. This, ladies and gentlemen, is how it is done. Second place probably is going to go to the latest Pelgrane Press offering, the space cop/space opera procedural RPG Ashen Stars. I’ve started listening to a lot of genre podcasts this year. Particularly good and always must-listens are the Coode Street Podcast (Jonathan Strahan and Gary K. Wolfe), I Should Be Writing (Mur Lafferty). Writing Excuses, with their addition of the dulcet voice of Mary Robinette Kowal, has reached a whole new level of goodness. Adventures in Sci Fi Publishing feels like a first cousin to SF Signal’s own podcast. And although its brand new, the SF Squeecast is a lot of fun to listen to as well. And then there are the many books I read. Many of them were good, both first novelists and novelists who are old hands by now. I read far more fantasy than science fiction, reflecting trends in the genre. And I read a big chunk of first novels. Stina Leicht’s Of Blood and Honey might be the best of the flurry of first novels that I read out of Night Shade Books, although I really liked The Whitefire Crossing by Courtney Schafer nearly as much. The Winds of Khalakovo by Bradley Beaulieu and God’s War by Kameron Hurley were another pair of extremely strong first novels. Although it didn’t come out this year, I really liked Jon Sprunk’s Shadow’s Son as well. My favorite straight up science fiction novel has to be The Quantum Thief, by Hanno Rajaniemi. Jonathan Strahan’s Engineering Infinity, also firmly in the science fiction camp, was my favorite short fiction collection. And there looks to be plenty to look forward to in 2012. I look forward to finding out what lies in store for me for genre. As usual, multiplexes saw a lot of genre material flicker across screens this year. And, as usual, too few of them lasted more than a couple of weeks on theater screens, with most evaporating from the audience’s collective memory faster than a pan of water in the Mojave Desert. It’s even tough for me; in writing this particular overview I was amazed at how often I had to consult my notes, and even more surprised at how many of the movies I had forgotten. Not that there weren’t some gems, but far too many were buried underneath a mountain of dreck. Worse, most of those gems have lost their brilliance since their initial run. This is especially true of the genre-related movies. 2011 saw a couple of solid entertainments, a couple of surprisingly good efforts, and two pictures that likely will achieve classic status. Unfortunately, so much dross obscured them that moviegoing too often became an exercise in drudgery. The worst offenders seemed uninterested in making any effort. I Am Number Four was so crassly by-the-numbers that a viewer who had succumbed to narcolepsy between the opening and closing credits still could have followed it without any fuss. One couldn’t fall asleep during Sucker Punch for all of Zack Snyder’s noisy set pieces, laughably bad dialogue, stupid premise, and thunderingly inane covers of The Eurythmics’ “Sweet Dreams (Are Made of These)” and The Beatles’ “Tomorrow Never Knows,” none of which could hide just how boring it was. Pirates of the Caribbean: On Stranger Tides was less noisy and outrageously dumb, and marginally less boring, but never captured the giddy heights of its source material–not surprising considering how little of Tim Powers’s novel remained. Worse, it lacked much of the energy of the first picture despite how busy it was, making it perhaps one of the most pointless movies released this year. Not the most pointless, however. That dishonor went to The Thing, a prequel to John Carpenter’s remake of Howard Hawks’s classic examination of Cold War paranoia. Though director Matthijs van Heijningen, Jr. insisted this he was making an homage, it was by turns so dreary and laughable that it seemed less an homage than a ripoff…which cannot be said of the remake of Fright Night, which took the 1985 picture’s basic idea and cranked it up to 11, with Colin Farrell and David Tennant sharing scenery-chewing as the vampire and vampire hunter, respectively. 2011 also saw the release of Transformers: Rise of the Fallen, which I only saw because it was only movie playing within walking distance of my sons’ house in Canada. Next to it, Sucker Punch is the Citizen Kane of skiffy movies. Superheroes often used to rescue us from our entertainment doldrums. One couldn’t quite; audiences, and specifically comic book audiences, slathered so much respect onto Thor that you could almost be forgiven for thinking you might get to see a real movie. It wasn’t, though it was worth seeing just to hear the gasps from every female in the auditorium when Chris Hemsworth, in the title role, took off his shirt. By contrast, Captain America turned out to be very good indeed, and one of the few superhero movies unsaddled by pretension. It was fluff, yes, but it was entertaining fluff. You expected a lot of fluff, and a lot of fun, from Cowboys and Aliens. How could you not with a title like that? Unfortunately, it offered little more than an intriguing title; Daniel Craig and Harrison Ford held no chemistry, and Jon Favreau’s direction generated none of the energy he brought to Iron Man. Even the aliens seemed second rate. You couldn’t say the same of Attack the Block!, a low budget shocker from England. Thrills abounded, as did some creepy alien effects, plenty of blood and several dollops of humor. It could have been made by Roger Corman forty years ago. Then again, so could Drive Angry, where Nicolas Cage escapes from Hell seeking vengeance. It possessed no redeeming qualities, and felt more like the ersatz grindhouse picture it was than an actual grindhouse entry, but still managed to be diverting in its low way. Harry Potter and the Deathly Hallows, Part 2 concluded the ten-year-old movie franchise with all of the sentiment audiences have come to expect, though in the end it seemed to race to the finish line rather than draw to a satisfying conclusion. Give it its due for trying to grow up with its audience, as opposed to another long-running franchise; the last entry in this adaptation of Rowling’s novel seldom shied away from darker moments. It’s a movie I’d take a young child to with great reluctance. Ditto Super 8, J.J. Abrams’ love letter to Steven Spielberg-esque movies of the 1980s. It did so many things right that one could almost forgive him for giving in to sentiment at the very end. Hugo, Martin Scorsese’s attempt at a children’s movie, positively dripped with sentiment, to the point of almost drowning, though it never remained unwatchable, especially when it turned into something of an exercise in film history. It seemed that more thrillers in 2011 used science fiction elements, often with mixed results. I wanted to like The Adjustment Bureau far more than I did, but its slapdash story never rose to its Mad Men-style sheen or to the level of existential paranoia at which Hitchcock excelled. Limitless examined a ne’er-do-well who managed to achieve a certain amount of transhumanism, but somewhere along the line it forgot to add a moral center. Source Code had paranoia and morality to burn, with a protagonist right out of a Barry Malzberg novel to boot. It drew apt comparisons to Groundhog Day and the television show 24. With reason. Rise of the Planet of the Apes reimagined the long-dead film franchise of the 1970s with a movie that proved to be far smarter, and far more thrilling, than audiences or studios anticipated. It’s one of the highlights of the year. But the best science fiction movie to come out this year was Woody Allen’s Midnight in Paris. I was lukewarm to it on my initial viewing, thinking it less groundbreaking than Crimes and Misdemeanors, Match Point, or Annie Hall, and certainly lacking the depth of either, but as the year draws to a close it is the movie that sticks most in my mind, in part because of its strong cast (especially Kathy Bates as Gertrude Stein), and in part because of Allen’s lush photography. It may not be on the level of Manhattan, but it’s his most beautiful since then, and it made sitting through the year’s more middling pictures worth it. What Wolves Know, by Kit Reed: My review on SF Signal is here. Perhaps the best single-author collection I read this year, definitely in contention with Caitlin Kiernan’s vast collection (see below). Seriously, “aciculate barbs of insight into human nature.” How can you go wrong? Reed has one of the sharpest wits in literature and writes about strange lives with precision and acute insight. Embassytown, by China Miéville: My review on The Functional Nerds is here. While I had some reservations about the novel, it is a provocative read and deserving of attention. Miéville creates aliens with a weird, almost impenetrable feel to them and debates the nature of what makes us human and the link between language and being. House of Discarded Dreams, by Ekaterina Sedia: My review and other blogs about the book can be found here. This is one of my favorite books of the year, for reasons that you can find in the multiple posts I wrote about it. Of course, I just realized that this book was published at the end of 2010, but it was an important part of my 2011 reading, so I include it here. Never Knew Another, by J. M. McDermott: I have a review and discussion of this book forthcoming, but what I will say here is that this book is not just well-written, but a dark and powerful invocation that unflinchingly looks at the minutiae of life and the travails of living. There is very little sunshine in this story, but McDermott creates both sympathy and understanding as he unravels the lives of his characters and their strange world. Two Worlds and In Between: The Best of Caitlín R. Kiernan, by Caitlín R. Kiernan: I was fortunate to get a review copy of this book, and the review is in progress. I had not read a lot of Kiernan’s short fiction before getting this tome, and I think that was to my advantage, because this book is filled with powerful, ensorcelling tales and letting yourself get caught up in the language without a lot of preconceptions is heady and edifying. A few stories fall flat and others are good but most of them are singular explorations of story and psyche. I hope this book becomes more widely available. Sensation, by Nick Mamatas: In my SF Signal review, I summarized this book as a “[p]erspective-altering, surreal hybrid offspring of a political thriller, an SF epic, and weird dystopia.” It is a deceptive, disturbing, and sardonic look at political motivation, free will, and the illusions of democracy. It is a funny book with schadenfreude and scathing wit in great quantity. It stays with you long after reading and makes you start to question your own motivations and ideology. Brave New Worlds, edited by John Joseph Adams. This anthology was the subject of a column I wrote earlier in the year. As a primer on dystopian literature it is excellent, and as an exemplar of good fantastika it is even better. I discovered a lot of stories that I had never read before, and the new stories were generally the equal of the classics. I’m very happy to have this on my bookshelf. The Weird: A Compendium of Dark and Strange Stories, edited by Jeff and Ann VanderMeer. A titanic anthology that may well drive you mad (in the best ways possible), I just finished this massive collection and can only say that it is both an amazing undertaking and an infernal treasure trove of horrors and uncanny marvels. I discussed a few of the stories in it recently but a longer review and reflection is forthcoming. I am still digesting it. . . or is it digesting ME?!?!? There were also some highly noteworthy short tales out there this year. I highlighted a few of them earlier this year, and I would like to point in particular to M. David Blake’s “Absinthe Fish” which perfectly fulfills my criteria for “mind-blowing fiction.” Paul Di Filippo’s “Wikiworld” by 40k Books was a fabulous journey into the future that delightfully exemplified his discussion on “How To Write Science Fiction.”I was quite taken with Megan Arkenberg’s “Lessons from a Clockwork Queen,” and I loved Craig Gidney’s new story in Expanded Horizons, “Conjuring Shadows.” River Willow Fagan’s “Some Notes on the Eisenberg Estate” is lovely and unnerving. Bryan Thomas Schmidt is the author of the space opera novel The Worker Prince, the collection The North Star Serial, and has several short stories forthcoming in anthologies and magazines. His second novel, The Returning, is forthcoming from Diminished Media Group in 2012. He’s also the host of Science Fiction and Fantasy Writer’s Chat every Wednesday at 9 pm EST on Twitter, where he interviews people like Mike Resnick, AC Crispin, Kevin J. Anderson and Kristine Kathryn Rusch. He can be found online as @BryanThomasS on Twitter or via his website. Excerpts from The Worker Prince can be found on his blog. The Worker Prince is available as an ebook for $3.99 on the Kindle and Nook, or as a $14.99 trade paperback . Predators I Have Known, Alan Dean Foster, Open Road — I love Alan Dean Foster. One of my early author heroes but this was nonfiction and about his adventures with dangerous animals travelling the world. It’s good that he wrote this, but now that he has, publishers will be making contract clauses forbidding these trips for the length of their contracts to ensure he’s alive to finish their books. Awesome stories of encounters with stingrays, sharks, lions and more. And it’ s got video clips and color photos to go with! A Hymn Before Battle, John Ringo, Baen — okay, this one’s been around a while, but it was my first foray into both Ringo and military SF and it made an impression. Like what Tom Clancy would do writing SF and I loved it. Yes it’s got its weaknesses. Nobody’s perfect. But just a lot of fun for those who like military operatives against incredible odds with great hardware and a healthy dose of badass aliens. Shades Of Milk & Honey, Mary Robinette Kowal, TOR– Kowal’s debut surprised me. It was Jane Austin, which I couldn’t imagine liking, meets fantasy (which I love). It was written with the Austen voice but had the fantasy touches. It was light reading and pure fun. Diving Into The Wreck, Kristine Kathryn Rusch, PYR and The Disappeared, Kristine Kathryn Rusch, ROC–I like Kris Rusch. She’s been very kind to me and very supportive and she does that for a lot of people, and all writers in general through her blog. But I had not yet discovered these two series and now they are among my favorites of all time. The Diver series and the Retreival Artist series just fantastic stuff. The first is space opera about ship treasure hunters who dive old ships and run into adventure and danger. The second, is crime mystery SF, if you can believe it, and since Kris writes mysteries under a nom de plume, she knows her stuff and it shows. Both great series and a lot of fun! Deceived (Star Wars Old Republic), Paul S. Kemp, Del Rey–A Star Wars tie-in with NONE of the original characters? If you’re scratching your head, so was I and it turned out to be awesome. Kemp writes some well-rounded characters and develops them as sympathetic, even his bad guy, all the while introducing us to the new MMPOG from Star Wars–Old Republic. If you like Star Wars and want something fresh, this is a good bet. Black Halo, Sam Sykes, PYR–Sykes is developing into quite the writer. Black Halo was a great read. The sequel to Tome Of The Undergates, shows the writer’s growth. Good sword & sorcery fantasy with lots of action but also deep psychological exploration of characters and even some bodily functions. Sound gross? Not at all. Actually intriguing and enjoyable reads. Looking forward to Book 3. Mayan December, Brenda Cooper, Prime–Cooper breaks her mold and writes fantasy-SF mixed with historical time travel. Set in the Mayan Riviera both in the near future and the far past, an intriguing exploration of culture, parenting, coming of age and more. I really enjoyed this. Who Fears Death, Nnedi Okorafor, DAW–Okorafor’s masterpiece, although I’m sure more will be forthcoming. A coming of age tale of an African woman with magic in a SF future Nigeria. Amazing, one of a kind, deserving of all its awards and not to be missed. The Falling Machine, Andrew Mayer, PYR–Another not to be missed. If you enjoyed Verne or Wells, this is a flashback, only its new and it’s got superheroes. Yep, you heard me right. It’s also steampunk and set in New York City and if you think that’s impossible, Mayer proves you wrong. Just got the sequel and I can’t wait to read it! 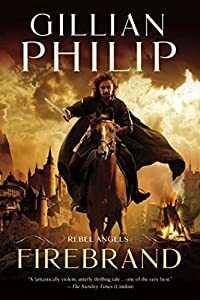 The Unremembered, Peter Orullion, TOR–this book made me remember how much I love epic fantasy. Do I need to say more? Magic system based on music. Yep. Sung magic. Feels like Wheel of Time in the early books when they were fresh and surprising. Fun characters. Fun adventure. Intriguing premise. The beginning of a long series. Exciting stuff for epic fantasy fans! Black Blade Blues, John A. Pitts, TOR–A great first novel and a total surprise. I knew Pitts was a nice guy. I had no idea how awesome he writes. Urban fantasy meets Society For A Creative Anachronism (figures majorly in the book) meets Hollywood with Wall Street dragons and more. A coming of age tale of a lesbian blacksmith, prop handler, who discovers a missing sword with power to destroy the dragons and winds up having to fight for her life and protect her lover and save the world or at least the Pacific Northwest. Sequels forthcoming. Great fun! The Desert Of Souls, Howard Andrew Jones, Thomas Dunne–a major sword and sorcery debut from a major sword and sorcery talent. Jones is Managing Editor of Black Gate and frequently writes on S&S and RPGS there for a reason. He also edited classic S&S rereleases for Bison Books. Here’s his novel debut and a lovely story which will soon have sequels to keep it company. His heroes Asim and Dabir wander through Middle Eastern history with some fun twists and turns. This is historical fantasy mixed with S&S and a great first novel. And although I have read a limited number, I just discovered D&D tie-in books and let me tell you, if you’re an RPG fan, current or past fan, or just general sword & sorcery or fantasy fan, there’s so great stuff here. Both Pathfinder Tales: Plague of Shadows by Howard Andrew Jones, Paizo and Sword of the Gods by Bruce R. Cordell, WOTC were great, easy reads with lots of flashes back to my high school and college D&D days. They made me want to play the game again and, in fact, got me so fired up I’m auditioning for a tie-in spot myself and writing a sword & sorcery book of my own in the meantime. Definitely worth a look. Put aside any preconceptions. There’s some really great writers involved and writing unique stuff, both men and woman, big names and lesser knowns but a large number have gone to bestseller status and they’ve done so for a reason. Check them out! Super 8–an awesome flashback to the past and what 80s Spielberg films used to be. The ending was a bit weak but the rest of it was quite the thrill ride and a lot of fun. Pirates of The Caribbean: On Stranger Tides, the 4th film, reinvigorated the series, matching the first one in clarity and fun. No more jumbled plotting like films 2 and 3. A much more solid adventure despite the absence of a few beloved regulars this time out. I found myself really enjoying Falling Skies by the end of the season, despite a lackluster pilot and early episodes. But still, to me, Chuck was still my SF highlight of the season. I also really love the new show Grimm a lot. Once Upon A Time is good too but Grimm really has hooked me. It’s very inventive and a fascinating take on old fairy tale monsters, etc. mixed with the urban fantasy or rural fantasy setting. I enjoyed the changes in Dragon Age II as well. I was impressed with it and thoroughly enjoyed the gameplay. My favorite game of the year will end up being Skyrim, a game I am ecstatic about, but Dragon Age II is a strong contender.